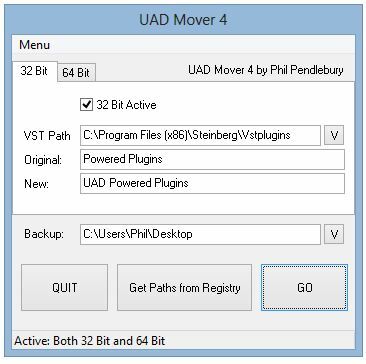 UAD Plugin Mover for Windows What it does: With a single click this tool will organise your UAD plugins into separate folders (which can be customised). 32 and/or 64 bit. It supports all plugins past and future (You can add new plugins to the list in the .ini file). Mono plugins and Novation Automap plugins will also be moved if they exist. Purchase: Purchase includes free updates forever. No yearly licenses.